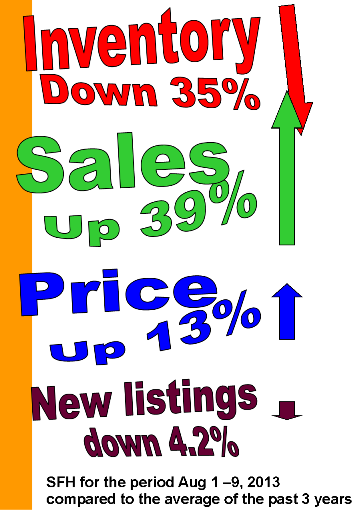 With inventory down 35% from the norm, and new listings hard to come by, it’s almost unfathomable that sales are up 39%. Don’t expect too much of a lull in activity which usually happens at this time of year, unless we completely run out of homes to sell. Sales to first-time buyers were up 39% in July compared to the 3-year average, but I expect this group will be affected most by the CMHC mortage cap, and a drop in first-time buyers is most likely to eventually occur. The comments following the article are interesting and a few come from people questioning why we need immigrants when so many Canadians are unemployed. Fact is, Canadians won’t do those jobs.